Summary: In 1968, 3.7 million Americans were born, just three years after the 1965 update to the Immigration and Nationality Act. 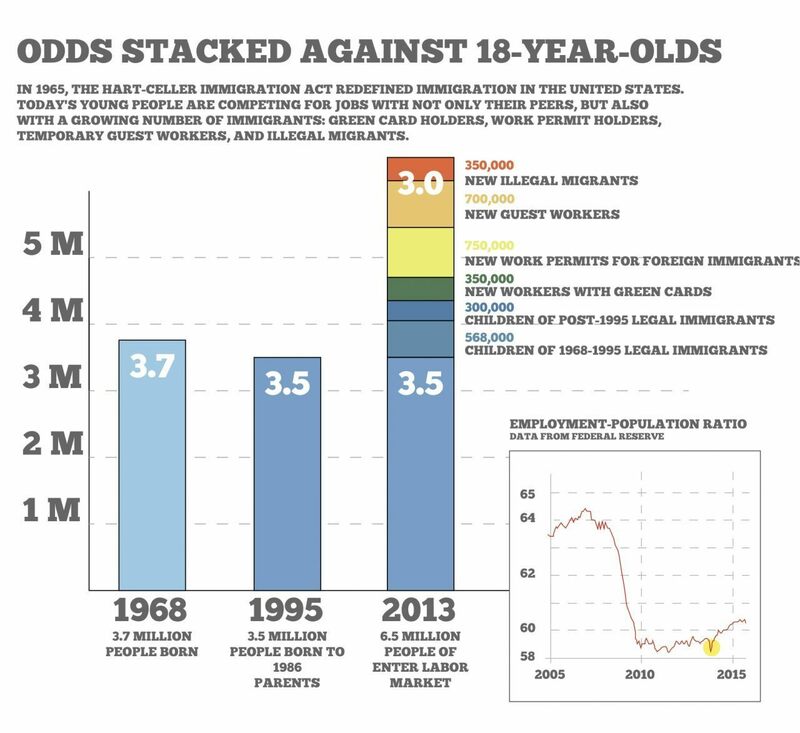 Almost five decades later, 3.5 million of their children turned 18, and entered 2013’s weak, post-recession job market. But that long-ago immigration law had been quietly, steadily, decade-by-decade, expanding the inflow of foreign workers. In 2013, it flooded the weak job market with an astounding tsunami of three million additional new workers. That’s a shocking 85 percent increase in the new labor supply. That’s six imported workers competing side-by-side with every seven children of the 1968 Americans. That’s almost one foreign worker for each one child of the ’68 generation. Of course, Americans’ participation in the workforce dipped, wages flatlined and company profits peaked. Of course, the Down Jones stock-market index boomed by 26 percent, delivering almost $5 trillion in gains to America’s richest families. Of course, only seven percent of Americans want more immigration, and, of course, President Barack Obama, progressives, business groups, journalists and many establishment Republicans want to repeat that 2013 immigration disaster again and again and again. In 1968, 3,760,358 new Americans entered the world. They grew up during the 1970s and 1980s, and mostly ignored the inaugurations of Richard Nixon, Jimmy Carter and Ronald Reagan. Few noticed the slow-growing 1965 Immigration and Naturalization Act that would eventually have a huge impact on themselves and their future kids. By 1981, these ’68 babies were teenagers. They paid their $3.00 tickets to watch “Raiders of the Lost Ark,” “Back to the Future” and “Dirty Dancing.” They wore ankle-warmers and shoulder pads, or parachute pants and “Members Only” jackets. They went to work in 1986’s fast growing economy, got married, and bought houses at an average price of $123,000 in 1990. In 1995, these 68′-ers birthed 3.5 million babies at an average maternal age of 26.9. That 1995 generation of 3.5 million babies entered the world as Republican Rep. Newt Gingrich took the House gavel from the Democratic Party. They were little kids when President George W. Bush stood on the ruins of the Twin Towers, and teenagers when the real-estate bubble burst. In 2013, these 3.5 million Americans entered the labor market to look for jobs — and they found it radically different from their parents’ 1986 labor market. Their 2013 labor market was deeply shaped by the real estate crash six years earlier — but it was also fundamentally transformed by the ever-expanding 1965 Immigration and Nationality Act. The immigration law had modest impact in 1986, when their parents were looking for jobs. Back then, the 3.7 million Americans sought jobs in a fast-growing economy that was annually absorbing roughly 900,000 working-age immigrants, guest-workers and illegals. That was a ratio of four new American workers for every added foreign worker in 1986. But by 2013, President Barack Obama and his business allies were running the immigration act at breakneck speed — and it enabled him to deliver almost one extra worker into the labor market for each of the 3.5 million children of the 1968 babies. That’s an extra three million immigration-enabled workers in one year. That’s an 85 percent increase above the natural supply of new Americans workers. America is a nation of Americans, but it is increasingly a workplace of non-Americans. Of course, the huge supply of new foreign labor glutted the labor market. The percentage of American men and women with jobs stopped growing, even though it was six years since the housing market crashed. The percentage of 1968 parents who had jobs fell five percent from 2007 to 2011, rose by 0.5 percent in 2012 — and stopped rising in 2013. The percentage of working Americans aged between 20 and 40 actually fell, despite small gains in 2012. The percentage of Americans younger than 20 who joined the workforce nudged up by 0.5 percent, partly because college attendance dropped. By the end of 2013, the number of native-born Americans aged 16 to 65 with jobs had nudged up by only 700,000, to 113.5 million. In fact, fewer-working-age Americans had jobs at the end of 2013 than had jobs in 2000. In contrast, the number of foreign-born people in the workforce rose from 17.1 million in 2000, up to 22.4 million at the end of 2013. That’s a gain of 5.3 million, amid a loss of 1.3 million Americans’ jobs. That shift away from Americans meant that foreign-born people held one-in-six jobs at the end of 2013, compared to one-in-eight jobs in 2000. Amid Obama’s flood of new foreign labor, median weekly wages for full-time workers were flat all year, at $334 in constant 1982-84 dollars. Inflation-adjusted weekly wages earned by African-Americans dropped by a dollar to $270, while Latinos saw their wages rise by a dollar to $248. The opposite trend happened under pro-American President Bill Clinton, when a fast-growing economy ran out of workers, and employers had to raise the salaries of even the least-skilled workers to keep them from going to another company. Combined, illegal and legal immigration added only about 1 million new workers to the economy each year during Clinton’s tenure, ensuring he left office with high poll ratings. “Incomes have grown by 9.9 – 11.7 percent for every quintile [or fifth] of the income distribution [chart]. For the bottom three quintiles, this is the strongest growth since at least the 1970s,” said Gene Sperling, the chief economic aide for President Bill Clinton. Incomes rose because “expanding businesses in search of workers have had to recruit and offer training to people they would never even have looked twice at in a shorter or less robust expansion,” he told an audience at the National Press Club in October 1999. Correspondingly, Obama’s 2013 labor shock — and companies’ accelerating automation, such as cost-cutting computers, machines and robots — boosted corporate profits, not Americans’ wages. “Corporate Profits Are At An All-Time Record Peak And Expected To Grow in 2014,” Forbes reported in November 2013. So the stock market boomed. The Dow Jones Index rose by 26.5 percent in 2013, which was the largest-one year jump since the 1995 children were born. The huge gain translated into a $5,000 billion boost for stockholders. Most of that growth went to the wealthiest 10 percent of Americas who own roughly 70 percent of stocks. Obama’s extra supply of labor in 2013 even coincided with a flattening of mid-recession productivity growth, perhaps because companies were able to hire more low-risk disposable labor rather than invest in productivity-boosting machinery. Obama’s aides tried to deny any connection, but the cheap-labor explanation for flat productivity is compatible with long-term records, which show that U.S. productivity gains slowed after 1965 once extra foreign workers reduced marketplace pressure for high-tech investment, following 40 years of low immigration and high productivity growth. In contrast, Japan has adopted a different economic strategy, which supplements its shrinking domestic labor supply with robots rather than culturally discordant foreign workers. The three million immigration-added workers flowed into the U.S. labor market via numerous large and small channels — few of whom are counted and totaled by journalists, economists or politicians. The first group consists of American-born children of legal and illegal immigrants who arrived from 1986 to 1995. They grew steadily after the immigration act was signed in 1965. These foreign-born couples birthed 568,000 Americans kids in 1995 who turned 18 in 2013. Yes, they’re American, but they are also children of the 1965 migration law. Many immigrants arrived after 1995, bringing with them children born overseas. Roughly 300,000 of these child immigrants turned 18 in 2013. They too are American, but they are added to the labor supply by the immigration act. Another obvious single category of new workers were new legal recipients of green cards, or residency permits. After several years, green cards holders can request to become American citizens. The federal government says 990,553 foreigners received green cards in 2013. Most of them were poor and unskilled, but were allowed in because they were parents and siblings of recently naturalized American citizens. But half of the green card recipients had arrived in prior years, and were already eligible to work. That means 459,751 new green card recipients arrived in 2013. Roughly two-thirds of them joined the workforce, boosting the labor supply by roughly 350,000 workers. The next major category were the 1,301,308 foreigners who got work-permits from the Obama administration. Many of these work-permits can be renewed indefinitely and they put people on a path to residency, Green Cards and citizenship. This data was pulled from Obama’s administration by the Center for Immigration Studies. 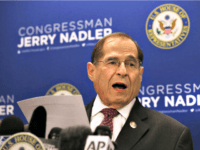 “These statistics indicate that the executive branch is operating a huge parallel immigrant work authorization system outside the bounds of the laws and limits written by Congress. Millions of work permits are being issued to illegal aliens and aliens admitted legally, but in a non-work authorized category…. [this is] an abuse of executive authority that inevitably reduces job opportunities for Americans,” CIS concluded. This huge group came in four sub-groups and at least 42 sub-categories. The first group includes 310,986 people who get temporary work permits and are not put on a fast-track to permanent residency. Some of the 27 sub-categories in this group are tiny and uncontroversial, such as visiting artists and entertainers, foreign journalists, the spouses of diplomats, or ship crews. Other subcategories are larger and controversial, such as foreign graduates from U.S. colleges or people who first arrived in America to work as guest-workers. In total, this first group included people who would likely work in the U.S. for one to several years. But almost 25,000 were family members, including kids. Also, some — such as diplomatic employees — are offset by reciprocal benefits to Americans. So this first group probably contributed 250,000 new workers to the U.S. labor market. The second group consists of 156,788 people who are on track to permanent residency, Green Cards and citizenship. This group includes 69,854 refugees from chaotic cultures, and 27,301 people given asylum. Many people in this categories are young or old, so this second group probably contributed 100,000 work-ready adults would will stay permanently. The third group was huge. It consisted of 333,761 people in categories that rarely get work permits. But in 2013, Obama’s easy-migration policies provided work-permits to 211 stowaways, 16 people who suspect of committing document fraud, 3 people who had been denied asylum plus a huge wave of 329,403 people who had “entered without inspection.” This subgroup of 329,403 people who “entered without inspection” were mostly illegal migrants who were given work-permits under Obama’s semi-legal amnesty for younger illegals, dubbed the “Deferred Action for Childhood Arrivals” non-enforcement program. Obama announced he would formally stop enforcing immigration laws against younger illegals, and give them work permits, in June 2012 as the election campaign heated up. But most of the documents were not distributed until 2013. Many of these illegals had jobs before Obama’s quasi-amnesty, but they tended to be lower-end jobs. Obama’s amnesty freed them to compete for normal jobs sought by Americans. But if Obama and prior presidents had actually enforced immigration laws, few of the illegals would be be able to find jobs, and most would return home. So, as a rough guess, Obama’s combination of mini-amnesty and lax enforcement likely added the equivalent of 200,000 adults to the legal labor-market where American would want to work. The fourth and last group among the 1.3 million work permits are 316,893 people who got work-permits for “unknown or unreported reasons.” This probably include many younger illegals who got work permits under DACA, and some of the roughly 50,000 Central American women, male youths and children who crossed the Texas border in 2013. “The [Central Americans] get into the country pretty much unimpeded,” Marine Corps Gen. John F. Kelly, chief of U.S. Southern Command, said in October 2014. With some caution, this category adds another 200,000 working-age people to the labor market. Obama has almost stopped repatriations of illegals detained within the United States, except for some of the illegals who are actually convicted of felonies. Understandably, the laxity has given a green light to new illegal migrants, and roughly 350,000 illegal migrants crossed the borders in 2013. This analysis does not count the roughly 11.5 million other illegals in the country, of whom roughly 8 million are in the workforce. Obama’s administration also admitted roughly 700,000 guest-workers, who can stay for only a few months or up to six, seven or even 10 years. The federal government doesn’t provide good numbers for this category. For example, the government does not release the number of foreign college grads who get H-1B six-year permits — but simply announced how many of those people fly into the United State each year. That’s a useless measure because many of these H-1B workers fly to and from their home country multiple times each year. However, the Center for Immigration Studies tracks the numbers from multiple agencies and estimates that 691,000 guest-workers arrived in 2012. The number rises each year, so the flow of guest-workers probably reached 700,000 in 2013. Roughly one-tenth, or 70,000 of these guest-workers are field-hands in the agricultural sector. At least 200,0o0 are college grads carrying multi-year H-1B or L visas. They are doctors, designers, teachers, programmers, college teachers, therapists, accountants, sports coaches, pharmacists, and they work in every decent-sized city or university around the country. Some get paid decent wages in American dollars, some get paid in home-country currencies at home-country wages. But they nearly all work in white-collar jobs that are sought by the many Americans who were born in 1995, or in 1968. This analysis ignores the impact of graduate guest-workers who arrived before 2013. That resident population is roughly 1 million. As intended, these guest-worker graduates help reduce starting-pay for American graduates, and to reduce lifetime payroll costs for many companies. For example, annual increases in salaries for health workers, architects, and physical science professionals — engineers, scientists, mathematicians — fell from roughly 3.5 percent in 2009 to only 1 percent in 2013, according to the Center for Economic and Policy Research in Washington, D.C. Most of the remaining guest-workers are blue-collar workers employed in slaughterhouses, vacation resorts, restaurants, retail stores, fish processing plans, trucking companies and landscaping firms. Many of those jobs once paid enough to allow a middle-class lifestyle for Americans. But the flood of new labor has dropped wages, so many Americans and immigrants are now reliant on taxpayers for incomes that employers once provided. The one-to-one is Obama’s labor shock inflicted on the 3.5 million children of the 3.7 million Americans born in 1968. Basically, the 3.7 million Americans born in 1968 had 3.5 million kids in 1995 — and those youths were hammered by a tidal wave of at least three million immigration-delivered, new rival workers in 2013. That’s basically one extra immigration-added worker for every one of those 68-ers’ kids. If 2013 is considered the starting point for immigration, then 4.4 million Americans — the 3.5 million children of the 68′ babies, plus all the 900,000 children of subsequent immigrants — turned 18 in 2013. That class of 4.4 million Americans was hit by Obama’s 2013 wave of 2.1 million new foreign workers. In effect, Obama delivered two foreign workers for every four young native-born or immigrant Americans who turned 18. That two-for-four measure is the most charitable calculation of Obama’s 2013 migration shock against Americans. But a less-charitable calculation looks at what Obama could have done to reduce the labor shock. A back-of-the-envelope calculation shows he could have easily shifted the impact from two-for-four to perhaps one-for-nine. For example, in 2013, he could have slowed Green Card approvals and tightened border security. If that policy reversal had delayed and reduced the new arrivals by only 50 percent, he would have reduced the new foreign workers in 2013 by 350,000 in one year. He could have reversed his choice to award or renew work-permits issued to illegals, refugees and other inflowing groups. That would have opened up to 1.5 million jobs for Americans in 2013. If Obama had wanted, he could have told his deputies to use agency funds to pay migrants to go home (as Israel does), and to prosecute employers who provide illegals with jobs. Obama also could have ordered his deputies to deport all migrants convicted of law-breaking. The president could have reversed his current campaign to ease and increase the annual flow of guest-workers. He could have raised wage-formulas, shrunk exceptions, increased regulatory oversight, extended background checks, and stigmatized companies that hire guest workers. If that policy reduced the number of guest workers by just over one-third, that would have opened 250,000 new jobs for Americans. Those steps would have the reduced the flow of foreign labor by up to 2,650,000 in 2013. That would have meant that only 500,000 foreign workers would have arrived to compete for jobs against the 4,400,000 Americans who turned 18 in 2013. So Obama could have reduced the 2013 labor shock down to one-for-nine, compared to what he did deliver — almost two-for-one or one-for-one. The numbers would be even better for Americans if Obama had tried to enforce immigration law from 2009 onwards. In fact, from 2009 until early late 2014, his deputies handed work-permits to 4.7 million foreign workers, plus entry permits to roughly 10 million guest-workers, plus Green Cards to 5 million immigrants. That adds up to an inflow of roughly 20 million short-term and long-term foreign workers and immigrants. But Obama didn’t reverse his standard pro-migration policies in either 2009 or 2013. So of course salaries were flat in 2013. Of course the percentage of Americans with jobs stalled. Of course profits rose. Of course the stock market boomed. Yes, not all 1995 kids went straight into the labor market in 2013. Many went to college rather than the labor market. But an equivalent number of their older college-grad peers replaced them in the lousy 2013 job market. Yes, this analysis looks just the supply of new labor in a national labor market of 155 million workers. But the impact of doubling the new labor supply from 3.5 million to 6.5 million in 2013 is visible in the wage, workforce and stock-market data, and will shape employers’ estimates of supply and demand over the lifetime of many American workers. Yes, this article does not count the many foreign workers who left the United States in 2013. That number may be above 500,000. If that deduction is included, Obama’ labor shock becomes roughly one additional foreign worker for every three new native-born or immigrant 18-year-old American workers. It is absolutely true that extra immigrants create extra jobs. Each new immigrant has to buy furniture and food, entertainment and health-care, so creating a myriad jobs for Americans and other immigrants. But the migrants don’t create more jobs for Americans than they absorb, even after several years. For example, two years after 2013, the percentage of working-age Americans and immigrants who held jobs dropped from 59.4 percent down to 59.2 percent in September 2015. In 2001, the percentage slid down from its high of 64.7 in 2000 because of the recession after the 9/11 jihad attack, and it crashed in 2008 because the housing bubble burst. The percentage has not significantly improved since 2009’s low-score of 58.3 percent because Obama’s government is importing almost as many lower-wage foreign workers as the economy can create, leaving more and more Americans on the sidelines. In fact, the percentage of employed adults dropped down to 58.2 percent in October 2013 as the economy tried to absorb Obama’s 2013 labor shock. Immigrants’ average productivity and wages are far below American’s levels, ensuring that they get subsidies from taxpayers. 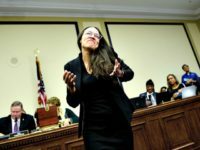 In fact, 51 percent of immigrant-headed households admitted using at least one welfare program in 2012, far above the 30 percent of native-headed households that relied on a welfare program. Legal immigrants aren’t much more productive than illegal migrants — they account for 75 percent of welfare payments made to immigrants. If migrants were good for Americans, the evidence should be clear in California, which has received the most migrants. But 57 percent of young workers in California are stuck in low-wage jobs, which pay a median wage of $9.04, down roughly 10 percent loss since 2000. According to a federal gauge, the state is now the least-equal in the nation. In short, unskilled immigrants drag down Americans’ average productivity and wages, especially in low-end jobs, such as cook, trucker and meat processor. But middle-class and university-trained Americans also have their income reduced by the extra taxes used to support low-skill migrants. Roughly speaking, each household headed by a college-graduate pays enough taxes to fund the welfare and aid given to a household headed by an low-income immigrant. For example, Obama’s attempt in November 2014 to provide an amnesty for 4 million illegals would have imposed a 50-year, $2 trillion penalty on college graduates. That adds up to a $22,000 fee for every new college graduate over the next 5o years, assuming graduation rates don’t increase. The long-term outlook isn’t good. “Earnings assimilation is considerably slower for Hispanic (predominately Mexican) immigrants than for other immigrants… although Asian immigrants and their descendants appear to do just as well as native-born whites… at least among men, they tend to earn somewhat less than third+ generation non-Hispanic whites with the same level of education,” said a September 2015 National Academies report. Many of the 2013 foreign workers were short-term workers who must go home after a year. Many stay longer, creating a pool of roughly 1 million long-term resident guest-workers. Some of the work-permit workers may leave without getting green cards, many illegals will go home, and even some immigrants will return home. But most arrivals are going to stay, and they’re going to drive down the cost of labor for decades — in a future where robots and other machinery may dramatically reduce the demand for lower-skilled labor. The 2013 stock-market winners have kept their $5 trillion, and reinvested their cash to generate new gains — and will do so for many years. Moreover, Obama, progressives, business groups and many Republicans are still trying to increase the inflow of foreign workers. For example, through 2013 and 2014, they pushed for passage of the 2013 “comprehensive immigration reform” bill which would tripled the annual distribution of Green Cards up to roughly 3 million. Obama is certainly trying to maximize the inflow. In 2014 and 2015, he declared an amnesty for 5 million migrants, allowed guest workers to get work-permits for their spouses, allowed roughly 200,000 Central American migrants to cross the border, started two programs to bring deported migrants back into the United States from Mexico, and admitted 1,519 participants in at least 10 wars on five continents. In 2015, his deputies opened a new regulatory door to bring in hundreds of thousand of foreign graduates, and also allowed another 50,000 Central American migrants into the country. Obviously, very few Americans want higher rates of immigration. 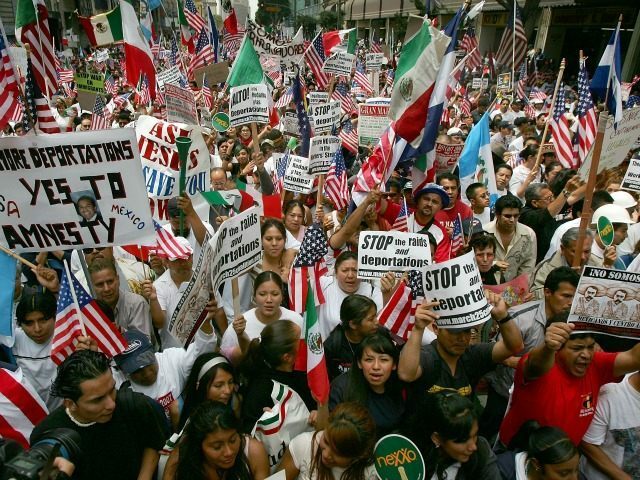 A January 2015 Gallup poll shoed that only seven percent of Americans want more immigrants, despite intense media pressure to welcome “vibrant diversity” and despite the media’s refusal to describe the scale of annual immigration. Other polls show even more lopsided opposition, much of which is fueling Donald Trump’s populist run for the presidency. But business and Wall Street barons want cheap workers and they want more immigrant customers to bring taxpayer-funded aid and welfare payments into their stores and restaurants. If asked, they say it openly. In developed societies with low birth-rates “most stock markets assume modest growth, so how are you over a couple of decades to deal with the fact that one third of your customers are going to go away?” Google chairman Eric Schmidt asked aloud in March 2015. “Well, one [way] is produce more customers through immigration,” he told his D.C. audience. More importantly, Obama and his fellow progressives are true believers in — and beneficiaries of — transformative migration. “Sometimes we get attached to our particular tribe, our particular race, our particular religion, and then we start treating other folks differently… that, sometimes, has been a bottleneck to how we think about immigration,” Obama said in the same Chicago speech. Obama knows that immigration hurts lower-skilled Americans, especially African-Americans. “The number of immigrants added to the labor force every year is of a magnitude not seen in this country for over a century,” Obama wrote in “The Audacity of Hope,” his 2006 autobiography. 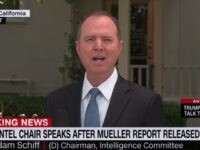 “If this huge influx of mostly low-skill workers provides some benefits to the economy as a whole… it also threatens to depress further the wages of blue-collar Americans and put strains on an already overburdened safety net,” he acknowledged. But that’s all O.K, says Obama, because the pain and poverty caused to Americans by government-imposed immigration will be forgotten once immigrants are harnessed to the progressives’ decades-long campaign to fundamentally transform raucous, uncooperative and exuberant America into their vision of Sweden-on-the-Mississippi.